Terrafirma have updated their CON29M with several new features to offer a new level of due diligence and efficiency, as they continue to change the way in which property professionals across the UK approach coal mining activity. • The inclusion of the UserKey, as currently used in Terrafirma’s Ground Report. The UserKey clearly highlights who within the transaction needs to take action to make it easier for the conveyancer to know what information needs to be reported to which party. • Loss of value insurance has increased to £100,000 – covering any subsequent changes in Coal Authority data. • Upfront inclusion of the mine entry interpretive report. Terrafirma have used new data technologies to apply a new risk model to each of the 173,000 recorded coal mine entries, analysing the zone of influence and the potential impact of a shaft on the use and value of a Site, at no extra cost. This enhancement brings a number of benefits for the conveyancer, purchaser and lender alike. You can see a sample report here. You can also register for these free webinars from Terrafirma. tmgroup are pleased to announce an exclusive partnership with Riliance for the provision of CQS training. The partnership will allow all tmgroup clients to benefit from a 20% discount on core and update courses. What courses do I need to do by when? The Law Society relaunched CQS training in August 2018. This means firms may have different training courses to complete by different dates depending on whether they have just gained accreditation, or whether they have been re-accredited after November 2017. If a firm has been initially accredited and staff have not completed the ‘Core Training – Financial Crime’ course then they must do that first. New staff working on CQS accredited matters must also complete the Core Training unless they have completed it at a previous organisation. If a firm has been re-accredited by the CQS office between 1st November 2017 and 31st July 2018, all staff must complete the 2 update courses by 31st January 2019. If a firm has been re-accredited by the CQS office on or after 1st August 2018, the firm has 6 months from their re-accreditation date to complete the training. Click here for more information about the new partnership between tmgroup and Riliance – and to claim your 20% discount. What if I’m not a tmgroup customer? If you’d like to find out more about becoming a tmgroup customer and activating this exclusive 20% discount on Reliance core and update courses for CQS training, please get in touch. Trusted by more than 3,500 regulated businesses across the UK, Riliance is the market leader in risk and compliance management software, training and consultancy services. Law firms, Barristers Chambers, Insurance Brokers, IFA Businesses and large Accountancy Firms all rely on Riliance to ensure firm-wide control and visibility over risk and compliance matters. Riliance can provide expert advice ensuring businesses put in place robust systems and processes to safeguard compliance. The Riliance system is used by firms to gain and maintain quality standards such as, Lexcel & ISO accreditations. Riliance holds the ISO 27001 certification and is headquartered in Tarporley, Cheshire. We’ve pulled together links to some useful resources, so you can double-check your team are prepared for the new transparency rules. A concise overview of the transparency rules can be found here, alongside a handy infographic of "price transparency at a glance". The new Transparency Rules require all regulated firms to display the SRA digital badge on their website. • Answers to "Frequently Asked Questions"
You may have also seen an update in a recent BLG bulletin about opinion, obtained by Burcher Jennings, being offered to BLG members at a discounted price of £150.00 plus VAT. This is well-written, practical advice on how to meet the new rules. Please get in touch with Rob Hailstone directly on rh@boldgroup.co.uk to find out more. The Law Society have also published a practice note, offering support to solicitors in deciding how to comply with the new requirements of the transparency rules. Microsoft have awarded tmgroup Gold Standard partner status. Following on from many years as a Silver Standard partner, as well as our recently acquired ISO 27001 certification, this enhanced status further reassures our customers that we are a strong and reliable link in the supply chain. Being part of the Microsoft network is recognition of our commitment to creating and delivering innovative customer solutions and services based on Microsoft Technologies, acknowledging tmgroup’s product suite – including tmconvey, tmconnect and mio – as solutions designed and developed against the highest standards. “We are delighted to have achieved Gold Standard partner status, and proud of our dedicated team who have demonstrated technical competencies in application and web development, and the management of our data centre infrastructure. Our certifications set us apart as a high calibre business partner, proactively addressing the ever-growing threats of cyber crime and data theft by continually investing in our infrastructure and staff. For more information about tmgroup’s certifications, please contact your Account Manager. Points of View: Will the new transparency rules change conveyancing for the better? Ahead of the new price transparency rules coming into effect on 6th December 2018, we asked the industry “Will the new rules change conveyancing for the better?”. We received an overwhelming response, with many saying they were confident that the new rules “make good business sense”, and should create competitive advantages for firms that promote the quality of their services alongside their prices. Yet there was a note of caution, that those who focus too heavily on price alone, risk a race to the bottom – and losing out. What do the regulators think? “Potential clients might rely on word-of-mouth, referrals, or online searches to choose their conveyancer. However a buyer or seller starts their search, our new requirements will help them make an informed choice. We want CLC firms to succeed and we believe that providing clear information to customers makes good business sense. The changes provide CLC Practices with new opportunities to create a competitive advantage as they focus on service and quality and not just price. While our requirements set out what firms must do, we know that all CLC Practices are different, so we are giving them flexibility to comply with the rules in the way that best suits their business and their clients. “Buying a house is the biggest and most complex financial transaction most people will make during their lives, but for many, finding the information they need to help them choose a legal professional to work with can be a hugely frustrating challenge. Time and again, users of legal services highlight price and quality as the two most important factors they consider and look for information on when choosing a provider. That there is an appetite to shop around is clear, an SRA survey of 1,000 recent homebuyers found that two-thirds spent more than an hour researching providers. Yet only 15% were able to track down easy-to-understand information on what firms may charge them. Our new transparency rules seek to address this by asking firms to publish both prices and accessible information on the services and people that sit behind these. “We, at the CA, certainly believe the new transparency rules will deliver a number of benefits providing far greater certainty for consumers that the charges they pay will match the transaction as it has been described to them. The benefits, as we see them, include the fact the consumer will now be made aware of any referral fee that is applicable in the case, they’ll effectively be able to compare ‘apples with apples’ when it comes to the service on offer, and that as a result this will encourage them to buy on service rather than on a perception of what is the cheapest. What do legal professionals think? "Comparison websites will not help, because a client will only be able to search against firms who pay to be on the site." Michelle Garlick, Partner and head of the Compli team at Weightmans LLP. "I remain to be convinced. In most cases a meaningful fee quote is the result of a two-way process formulated on the basis of information received from clients regarding the work required, the timescales involved and consideration of the personnel required to complete the work. The provision of the required information on a firm’s website is unlikely to be meaningful in the absence of this process. If done properly, it could provide more of an opportunity for firms to showcase their expertise and reputation (not just focus on price). It could also raise clients’ awareness of what is involved in a property transaction and thus help to better manage clients’ expectations, but there is a risk that too much information or a long list of caveats/exclusions either becomes meaningless or more confusing for consumers. The danger is that there could be a race to the bottom which in turn could lead to falling standards and increased complaints. Comparison websites will not help here either because a client will only be able to search against firms who pay to be on the site." “Whilst I understand the intention, I do feel the requirement for price transparency has caused confusion and created a further distraction in an industry which has far more pressing issues around modernisation and digitalisation of the conveyancing process. Conveyancers generally already provide clients with a comprehensive illustration of fees and anticipated expenses but, as every transaction and clients’ needs are unique and unknown at the point of instruction, additional fees can never be quantified by either client or lawyer at the point of instruction. Other professions do not seem to have this need for ‘standard’ disclosure of fees if, for example, we compare ourselves to accountants. Price transparency only risks making the industry even more price competitive, driving down fees and consequently service for under-valued and complex work in an ever more demanding consumer market – something which many conveyancers are not yet geared to offer. Low margins have already driven expert people out of residential conveyancing, which has resulted in a skills shortage, inevitably contributing to slower transactions. “Information is power and helping the public and small businesses to understand the legal services that protect their own interests is unquestionably a good idea. Many people only use lawyers a few times in their lives and so are not familiar with the issues and options. We are all busy, so moving the initial explanation of services onto lawyers’ websites should help more lawyer-client relationships start well. Understanding what is involved in a service before buying helps potential clients to judge what is offered. There are many kinds of legal providers, and different approaches will suit different people. The problem for lawyers is the complexity of a legal process is hard to explain clearly, especially before we know much about a client’s circumstances. “I am fully in favour of providing clients with full costs transparency at the outset of a transaction and we have been doing so for as long as I can remember. The new rules require us to publish pricing details on our website; however there are a host of variables that will affect a transaction, which makes it almost impossible to provide an accurate fixed price without discussing the transaction with our clients first. It is important that clients consider what is covered in the base fee quote provided. Some law firms will include items as part of their standard retainer (for example acting for a lender on a purchase, processing SDLT returns etc…) whilst others will list separate charges for handling these. This needs to be made very clear to enable the potential client to make their choice on a full like-for-like basis. Decisions should also not be based on price alone. It is important to establish the level of service to be offered and the qualification and experience of the person(s) handling the transaction. Both can have a significant impact on the transaction and how it progresses. What do media professionals, and industry consultants and partners think? “The new Pricing and Transparency rules, very few want them and most will think they will drive legal fees down. I go to a lot of conferences and seminars and watch a lot of webinars (part of the job) and I don’t believe that has to be the case. I have even read (and have available) a Counsel’s Opinion on the rules. The question is, do you want to do the bare minimum to comply or use your website and the rules as an opportunity to try to win more, well paid work? “Providing the consumer with all the information to make informed choices around which service proposition best meets their needs is clearly something that all professionals within the property transaction marketplace should be aiming for. It is something that we at tmgroup have been championing for some time through our technology platforms. It is important however that we don’t lose sight of the fact that this isn’t just about price, but that it more crucially is around the holistic service proposition, otherwise we risk a race to the bottom which doesn’t benefit either the consumer or the industry. A cheap service that makes mistakes, incurs unnecessary disbursements, and delays the transaction to the point where it risks falling through is not a good outcome for anybody. “Is the market only working if people are shopping around for the best deal? Competition authorities and modern professional regulators certainly think so, and law firms and clients are therefore invited to ignore the fact that economists have known since the 1930s… that markets actually never work so straightforwardly. I’ve spoken to firms as they prepare to publish price information. They range from firms that already have a conveyancing fees ‘calculator’ on their website, to those whose high-end part of the market is not especially price-sensitive. 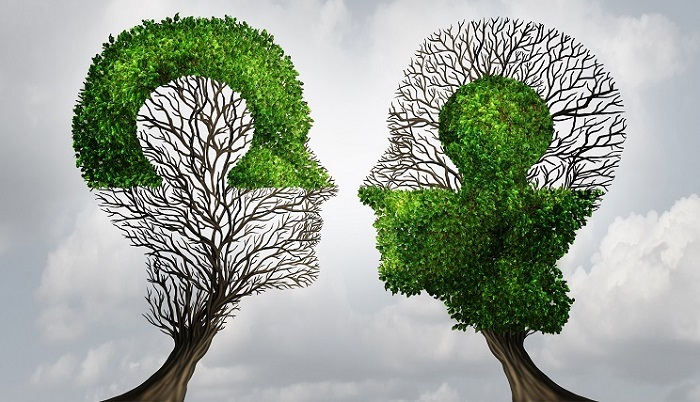 All those firms have to find ways to include caveats to the quotes given – there is a tension between the regulator view that this is a ‘commoditised’ service, and the reality that no two transactions are the same. The worst examples give a quote that’s hard to ‘read’ the component parts of if you’re not a legal or property professional, and attach caveats that sound more like a warning. The best examples use it as a chance to explain what they do – to flesh out the value a good law firm adds, and the fact this is an individual service. If all firms met the standard of those who have done it best, would clients shop around more? Probably not, but it’s still a good thing to do. “Firms should see publishing prices as a real business development opportunity to engage with consumers and help them to understand the value of the firm’s proposition, and not purely a compliance issue. Instead of the traditional methods of phone calls or face-to-face visits, home movers are now seeking digital channels to find quotes online in the evenings and on the weekends, when they are not at work. 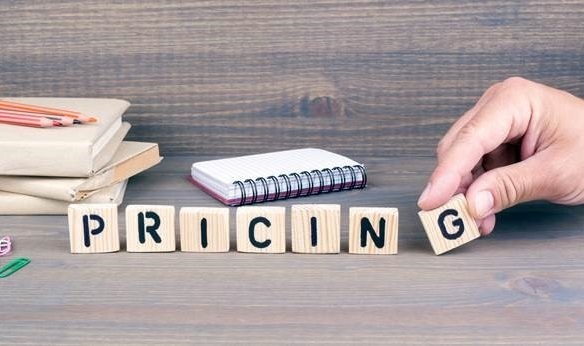 By publishing price information online, firms will open up an online channel that could help them benefit from increased contact and improved market share in an increasingly competitive market. 1. They are being nudged into line with how the market increasingly wants to engage with mainstream private client services. Those that embrace it most fully will see the best results. Firms that adopt a "what can we get away with?" approach either already serve niche markets, or will simply widen the competitive gap between them and their professional peers who do embrace these changes. 2. The benefits to clients of paying referral fees will stand or fall based on the up-front case made by introducers and conveyancers for the value they represent. I don't think it'll be enough to say "we're passing on a marketing cost that we incur" if there isn't a discernible client benefit to go with it. “Although many within the legal sector are reticent about the upcoming changes to price and service transparency, it should make it easier for consumers to make informed decisions on their buying choices. It will become imperative for conveyancers to consider how they will demonstrate their added value and expertise to the client. Those that fail to consider the services they offer and why their price is justified because of their experience will result in an inevitable race to the bottom by focusing their attention on the competitive price they can offer. Managing online reputations and reviews will be a crucial part of a firm’s marketing considerations moving forward. What do you think about the new transparency rules? tmgroup have achieved ISO 27001 certification. The endorsement is only awarded to firms that comply with a mandated set of requirements relating to information security management. Certified businesses must evidence an ongoing commitment to continually improving their systems. Information security is a critical business risk. It is attracting increasing scrutiny in the management of supply chain risk and consumers are more alert to the way their data is stored and shared. Just to make you aware, CLS insurance are making a number of changes to their policies on 15th October. Please take a moment to familiarise yourself with these changes, particularly if you currently have any CLS insurance documents saved in draft on tmconvey – as on 15th October, new policies will be available, and your drafts will be removed and will need to be reordered. In preparation for the Insurance Distribution Directive taking effect in October, CLS insurance have incorporated an “Insurance Product Information Document” within their insurance policies. Following the consultation on the sale of insurance in the EU, this will replace the policy summary – and clearly displays, in a universal format, important information such as what the policy covers, and what is and isn’t insured. Legal Indemnity policies will be issued under CLS Property Insight Limited, who will continue to review, accept and offer suitable coverage at the most competitive terms. CLS will also be offering more policies via their online system – which were previously available only on a bespoke basis. CLS will also be removing their ConveySure® brand. Please note, in reflection of the above changes, on 15th October 2018 any draft policies ordered prior to this date will be removed from the online platform and will need to be reordered. If you do have any drafts currently saved on tmconvey, please either submit them before midnight on Friday 12th October, or make a note of the details so you can easily reorder the policies on or after 15th October. PropTech company tmgroup are pleased to announce that they are GDPR compliant – following an intensive review process led by Independent Data Protection Officer, Richard Benham. Replacing the Data Protection Directive (DPD) and the UK Data Protection Act 1998 as of 25th May 2018, The General Data Protection Regulations (GDPR) are new regulations set out by the European Union – with basic principles including accuracy, transparency and fairness. Referred to by Thomson Reuters in a recent article as “the biggest shake-up of data privacy laws since the birth of the web and the largest change in data protection law in Europe for more than 20 years.”, GDPR marks a significant step towards tackling fraud and cyber crime. This is just the tip of the iceberg. Looking to the future, the property sector will continue to see big changes; creating new opportunities for businesses such as tmgroup who are willing and able to adapt. As the industry continues to embrace innovative ideas for keeping property transactions secure, Blockchain is expected to be the next disrupter. By enabling information to be shared but – crucially – not copied, it is predicted to not only speed up the property transaction, but also be a key player in the elimination of property fraud. tmgroup take data management seriously and involved every department across the business – from HR, Marketing and Operations, to Development and Finance – in a dedicated GDPR project over many months. By reviewing all data alongside every process, the GDPR team ensured that tmgroup were ready for the new regulations coming into effect on 25th May 2018. “I’ve been delighted to work with tmgroup over the last 6 months helping them achieve GDPR compliance. As a digital business, customer data security is of paramount importance. By meeting the GDPR deadline, tmgroup have demonstrated their ability to adapt to changes in the market, as well as their ongoing commitment to keeping their customer’s data safe”. “Our customers rely on our products and platforms to carry out critical work for their clients in a highly regulated environment, and the security of data is of paramount importance to them and all our partners. “The programme which Richard has overseen involved every area of the business, with all of our employees becoming key stakeholders in the project. As a leading IT solutions provider, tmgroup are the experts in innovative solutions that enable simplification and automation across the breadth of the property transaction. tmgroup’s customers extend to conveyancing solicitors, mortgage lenders, estate agents and developers. • tmconvey : Property searches are an integral part of tmconvey, along with insurance and risk management tools. With its simple, integrated design, it cuts the time and effort it takes to complete the conveyancing transaction. • tmconnect : tmconnect is a cloud based transactional hub, providing a joined up workflow for estate agents, mortgage lenders and conveyancers to access and share transactions securely. • tmcore : tmcore is an online property data hub for local authorities and other search providers, linking conveyancers to local authorities for faster land data without incurring unnecessary fees or being bound by complicated systems. • tmconvey Premium : tmconvey Premium is a specialist service for commercial real estate lawyers. Benefits include Premium Terms & Conditions, up to £20 million PI cover per claim, and a managed portfolio service. • Property Searches Scotland : Property Searches Scotland are part of the tmgroup family. From our offices in Glasgow, we offer a full range of property searches for residential, commercial and remortgage conveyancing across all of Scotland's 32 council areas. • mio: mio is a sales progression and communication tool created by property experts for property experts. It speeds transactions forward, reduces fall-through rates, and helps estate agents win more business. The company has 140 employees and is headquartered in Swindon. tmgroup also recently acquired a majority share in Conveyancing Data Services (CDS) – a conveyancing search provider with over 100 years' combined experience within the property search market. 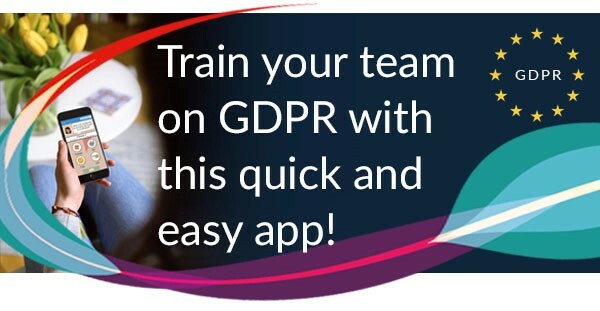 GDPR is here… Could a training app help your team prepare? tmgroup has teamed up with E3 Compliance Training to help make GDPR compliance training more engaging and effective. GDPR coming into effect on 25th May 2018 forced businesses across the country to rethink their data handling processes – from Marketing and Customer Service, to Human Resources. Yet, with fines of up to €20 million at stake for firms failing to comply, it is equally important that all members of staff understand what GDPR is and the changes they may need to apply to their day-to-day work. From 25th May onwards, achieving consistent compliance training across the business is probably one of the biggest challenges firms face – and this is where E3 Compliance Training’s app has the potential to make a real difference. • Use of game mechanics to engage players. • Automated nudges to encourage course completion. • Advanced analytics to support a firm’s compliance regime. • The ability to play the courses anywhere, on multiple devices. “Compliance training is not something people love to do, and can quickly become a tick box exercise – instead of a thorough educational activity. With something as critical as GDPR, there really is no margin for error. Want to find out how your compliance training could be more fun and effective? Please get in touch. VAT on Disbursements: Do you know the full extent of your risk? tmgroup are offering a free service to customers to find out how much VAT they might be liable for, following the Brabners case on VAT on Electronic Property Searches. Our Finance Team are able to create a report against each firm’s spending with tmgroup over the last few years – and what rate of VAT they may now be liable to pay to HMRC. This will help firms to understand the full extent of their risk exposure and make appropriate plans in the event that HMRC should send them a bill. For more information and to request your firm’s VAT risk report, please contact your Account Manager. Tony is tmgroup’s Chief Financial Officer and manages the finance team, helping to shape and guide the business strategy.